At a recent Cave de Tain l’Hermitage vertical tasting, there were two wines, Hermitage Classic 1996 and 1993 (100% Syrah), that caused a bit of debate and demonstrated how subjective wine tasting can be. We first tasted the 1996, which I found had an appealing nose of savoury characters of dried seafood and tea leaves. However, to me, it was let down by the palate as it was a bit flat and the length on the short side. The 1993, on the other hand, had a similar bouquet but the palate was more lifted and consistent with the nose. My neighbour shared the same view. When at the end Jean-Benoît Kelagopian, the Commercial Export Director of Cave de Tain who led the tasting, asked our opinion, all of us except two preferred 1993. The surprising thing was that those who preferred the 1996, including Jean-Benoît, reckoned it was still too young to drink, totally opposite to what I thought. I later discussed this with Jean-Benoît. He agreed with me that the aftertaste of the 1996 was shorter but said the tannin was still fairly dominant and would need a few years before the wine could shine. In contrast, the 1993 is drinking well now, hence most of us preferred it. This confirmed, yet again, that wine tasting is highly subjective and there are often spilt opinions in the room. One man's meat is another man's poison, but then this is exactly why wine is so interesting. No one, including wine experts, is in a position to adjudicate on who’s right or wrong. We all have our own palate and preferences. I would like to urge all wine lovers who don’t dare to disagree with others, or who only drink what the majority drink, to be more relaxed and follow their heart. After all, the world will be too boring if we always have the same view as everybody else’s. 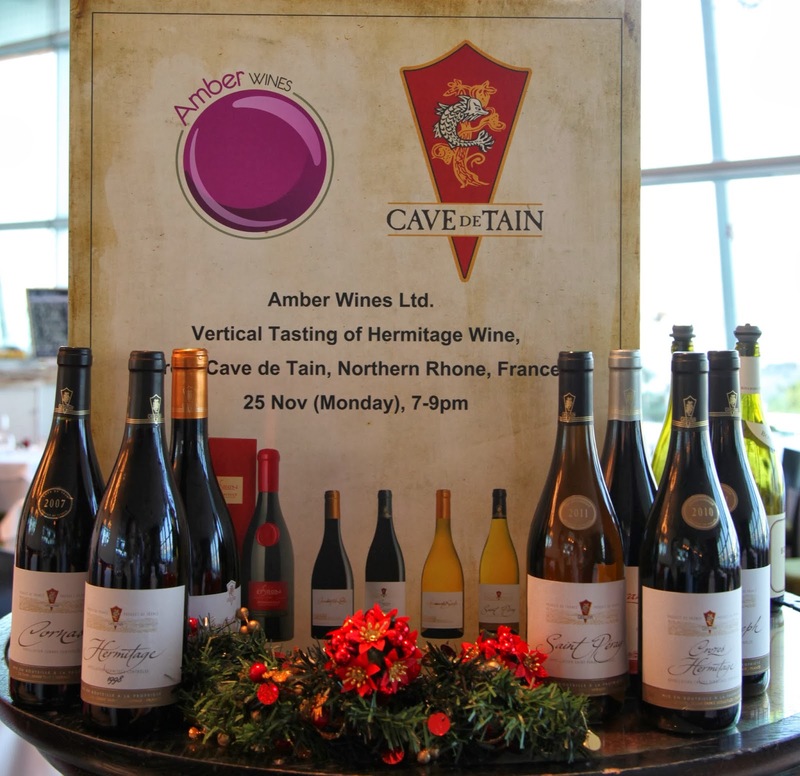 Cave de Tain is available from Amber Wines. Try the 1993 and 1996 yourself and see which one you prefer. Recent research I did on the position of Italian wine in Hong Kong revealed some interesting facts about the whole structure of our market at the moment. Most of us know that France has the biggest market share in Hong Kong both by volume and by value. But did you know that Australia is second and the the US third (both by volume and value)? In terms of volume, Chile is fourth, followed by Spain and Italy. Given that nearly all wine lists in Hong Kong restaurants feature some Italian wine, I was surprised that Italy was only in 6th place. Going deeper into the figures, the share of French wine by value is more than double its share by volume (value 70%, 32%). The value also includes England and Switzerland as most wine shipped from these countries to HK is French (they were ranked 2nd and 9th top importers by value but not in terms of volume). Actually, I suspect a good portion of wine from the US to Hong Kong is of French origin as well, implying that real US-origin wine would be in lower than third place. 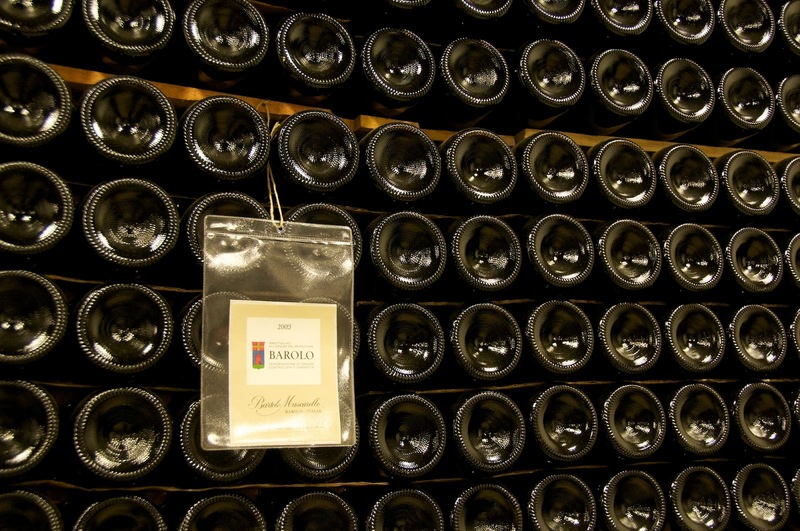 super premium Italian wine is not as in demand as the super premium French wine and that the production quantity of top Italian wines is simply lower than the French ones. But what happens if you exclude the French figures from the picture? Then we see that Germany and the US have higher value share than volume share, with ratios of 1.73 and 1.36 respectively, suggesting these countries have more wine in the premium sector. Italy, Australia and New Zealand are pretty much middle of the road, with value to volume ratios ranging from 1.17 to 0.87. At the other end of the scale are Chile and Spain with more entry level wine than average. I then looked at Watson’s online store to analyse its stock distribution. Watson’s is the biggest wine retailer in Hong Kong so is pretty much representative of the market as a whole. The findings were even more interesting. Of the 1,850 SKUs (stock keeping units, here indicating the number of different wines), 880 (48%) were French, followed by Australia with 202 SKUs (11%). Then came Italy and the US at about 120 SKUs (6%) each. So Watson’s figures do seem to be broadly in line with the wider market figures mentioned earlier. But my research did not stop there. Further analysis of Watson's French wine SKUs revealed that a whopping 65% was Bordeaux, while 23% was Burgundy, leaving the remainder (a mere 12%) to cover the whole of the rest of France. What do these figures tell us? Well, our market is dominated not really by French wine, but by Bordeaux. To me, that is a shame as there are so many wines in the world (and even in other parts of France) waiting to be explored. Hong Kong abolished wine import duties in 2008 and we have all seen the exponential growth in the number of importers since then. What a pity that most of them are still apparently geared towards Bordeaux. Hong Kong has a bit of a ‘herd’ mentality and it becomes a reinforcing feedback loop that we drink more Bordeaux, importers bring in more Bordeaux and new consumers copy the regulars and drink (surprise, surprise) Bordeaux. I think we should start a movement of drinking a wine from a different region every time, trying not to repeat it until after 10 or 12 wines. That way you soon find out that a life not restricted to Bordeaux is a lot more colourful. For myself, I drink so many different wines that I have actually forgotten when I last had a Bordeaux. Not only would this help us all broaden our horizons, it would also push importers to break out of the comfort zone and look out for other wines. I remember having a hard time finding a Cabernet Franc from Loire a few months ago—a sad state of affairs. Don’t get me wrong, I’m not against Bordeaux, but we should also not allow ourselves to miss all those other wonderful wines as well. Fortunately, there are some importers/wine clubs specialising in other wines. Feel free to check them out.